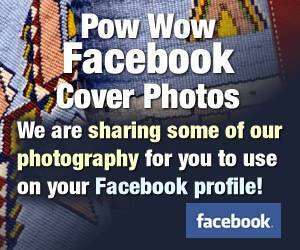 The Old Fort Powwow in NC, May 26-28 is offering money for tipis contest. Now they do not say how much....but they do put forth $10,000.00 on the mailing for Dance, Drum and Tipis. Any body going and no more about this??? I'm thinking about going to compete if the drum doesn't have a host drum job that weekend. I talked with the organizer today and found out that tipi competition was $300.00 for first...200.00 second and 100.00 third. You can go in on Wed. to set up and camp in your tipi. Better bring a fire pan because of the dry conditions and they will give out money on Sunday late...4 or 5oclock. This is definitly better than most dances as all most all do not even offer money. As for the judges and guidelines to the competition, they do not have a clue. She just said they are judging on authenticity. Good luck on that one. Hey, bring all the colorfull and what will wow the crowd. And it will be hot...most likely. If I could afford to go...I would. It takes a great deal of effort and planning to bring in a full tipi camp. Just for me to come up from Jacksonville, Fla and go home is around 200 to 300.00$. Gas, food, and getting the time off is money. Not like throwing a few things into your gas saving little car to go dance. And a tipi is 24 hours of exhibit...not a few hours in a dance ring and go back to nice air conditioned hotel room. So all who bring tipis to any dance...for any reason...you deserve a big hand.